Schwarzenegger said during an interview with Politico’s “Off Message” podcast that he is still working on the timing for his push, but he is now speaking with private law firms. “This is no different from the smoking issue. The tobacco industry knew for years and years and years and decades, that smoking would kill people, would harm people and create cancer, and were hiding that fact from the people and denied it. 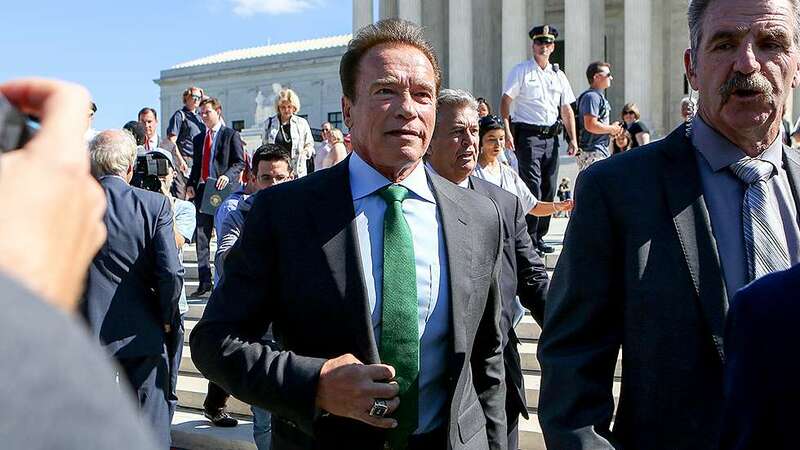 Then eventually they were taken to court and had to pay hundreds of millions of dollars because of that,” Schwarzenegger, a global environmental activist, said. “It’s absolutely irresponsible to know that your product is killing people and not have a warning label on it, like tobacco,” he said. “I don’t think there’s any difference: If you walk into a room and you know you’re going to kill someone, it’s first-degree murder,” he said during the interview. “It’s beyond me. Why do you think he says those things? He’s supposed to be very busy,” he said.